The Great Military Merit Medal (Groß Militärverdienstmedaille), 1916-1917 was established to recognize the highest achievement in time of war or to reward outstanding service in piece. 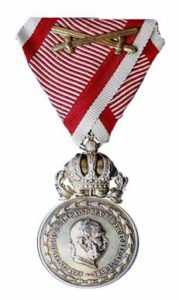 This service was required to be greater than that recognized by the Silver Military Merit Medal but not warranting the award of a high order. It was intended for high-ranking officers (Regimental commanders and above) and other notable persons in the society. 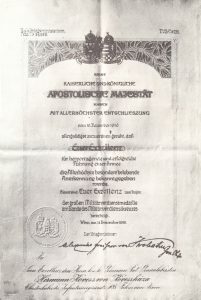 The award was never, in practice issued for piece time service as the award was discontinued with the fall of the empire at the conclusion of WWI. A small rectangular ribbon for this decoration sometimes issued with small attachments to indicate specific awards was introduced in October 27, 1917. Figure 1: War Ribbon. Image from the author’s archive. Gold trapezoid clasps 9 mm in width and 50 mm in length were authorized for this decoration on February 22, 1917. When the clasp was granted for the decoration with swords, the swords were worn on the top clasp. Medals are known to exist with one bar. 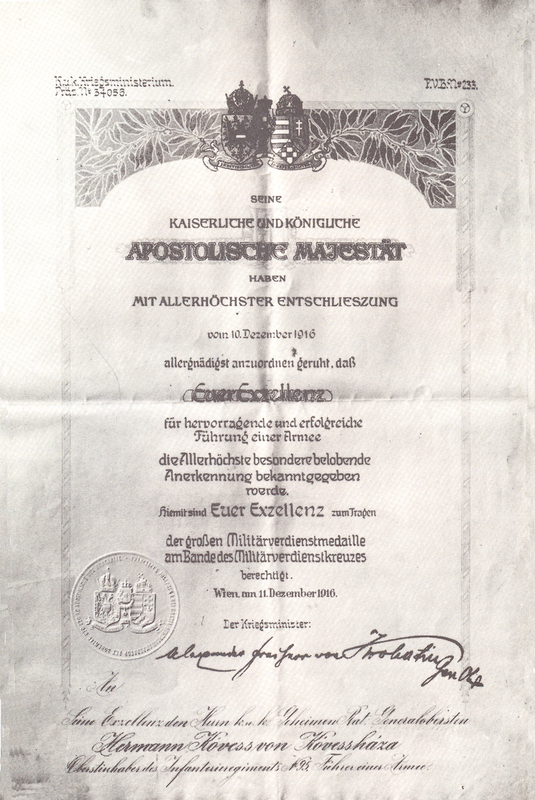 The bars were manufactured by Josef Zimbler of Vienna. Figure 2: Great Military Merit Medal with swords. Image from the Author’s archive. Figure 3: Great Military Merit Medal with second award bar and swords. Image from the Author’s archive. 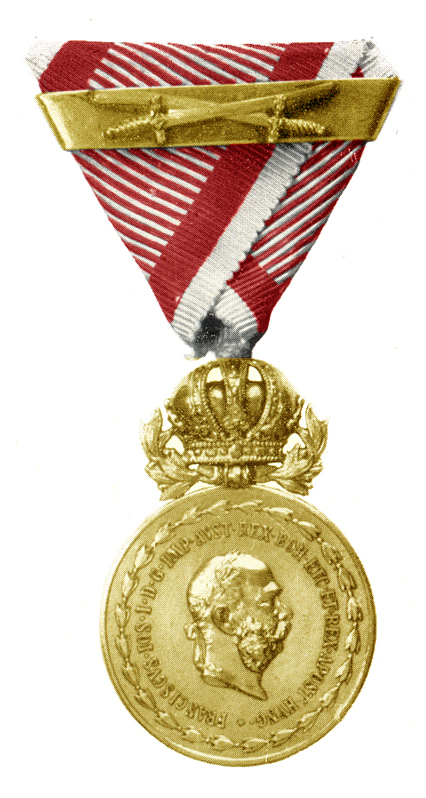 Figure 4: Great Military Merit Medal miniature. Image from the Author’s archive. 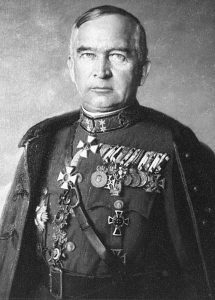 (Pokorny is one of only two persons below the rank of general to be awarded this decoration). Image form the author’s archive.